This evening and tomorrow the tenth of Shevat mark the Yahrtzeit of the Rebbe Rayatz - Rabbi Yosef Yitzchak Schneersohn, the 6th Lubavitcher Rebbe (1880-1950 - 10 Shevat). 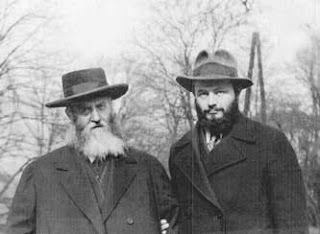 It was also the day on which Rabbi Menachem Mendel Schneersohn took over the leadership of Chabad one year later (1951) - becoming the 7th Lubavitcher Rebbe. In honour of this special day, four wonderful video clips are presented for your viewing. 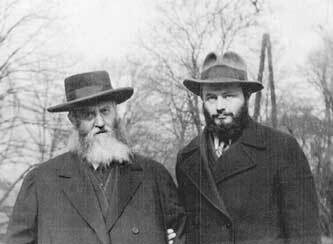 The first contains parts of the first Maamar that the 7th Rebbe began his formal Nesiut (leadership) of Chabad with. It's theme? All sevens are special! His leadership extends through our generation - the 7th generation - a special one that must do everything it can to bring the Shechina (Divine Presence) into this world "below." 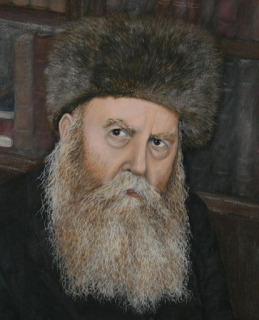 Follow the videos and notice how the Rebbe maintained this theme throughout his leadership. It was an all encompassing theme of our mission in this world - one that cannot be separated from the Torah's essence - to make this world into a dwelling place for G-d. To look around and see the garden - with all its beauty. To see the people as the beautiful trees that make up the garden. To look after the trees, and to do whatever is necessary - no matter how long it takes - to nurture each tree with what it needs, so that it grows to enhance the garden belonging to G-d.